I know this is July and I’m reviewing a June bag, but it arrived in my mailbox close to the end of the month, and then birthdays and holidays happened. Better late than never, right? I’ve been subscribed to Lip Monthly for a little over a year now. I think I signed up close to when they first started sending bags out. Ipsy is my only other beauty subscription besides this one. If you’re unfamiliar with Lip Monthly, they’re a lip product focused subscription that costs $12.95 per month. They will even ship internationally, and I believe it’s at an affordable rate! However, I do have a coupon code that will make your first bag close to $6. My code is Kayla55. Yes, it’s an affiliate code. However, I was subscribed to Lip Monthly way before I was offered a code with them. I stand by my opinions and will link more posts at the end. Jelly Pong Pong Lip Butter– This retails at $18.95. Jelly Pong Pong is such a weirdly named cosmetic brand, but I have enjoyed quite a few items I’ve gotten from this brand from both Lip Monthly and Ipsy. This lip butter has the most adorable packaging! I love hot air balloons! This is also very reminiscent of the Tarte lip butters. 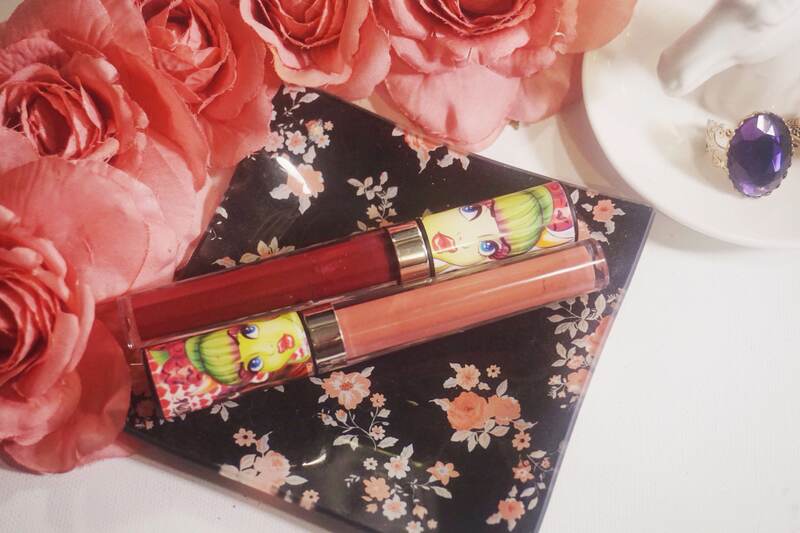 I think if you enjoy more hydrating lip formulas, this one would be up your alley! I love the texture and think it’s nice everyday shade and formula for me. Be a Bombshell Lip/Cheek Stick– This retails at $16. I’ve actually gotten one of these sticks in a past Ipsy bag and loved it! I enjoy cream products on my cheeks in the Summer, they tend to look better throughout the day in humid weather compared to using all powder products. The shade I received is a gorgeous rose gold shade! I’m excited to use this on my cheeks. I don’t know about my lips unless I use a brush, but I think this would make a pretty blush on fair skin! 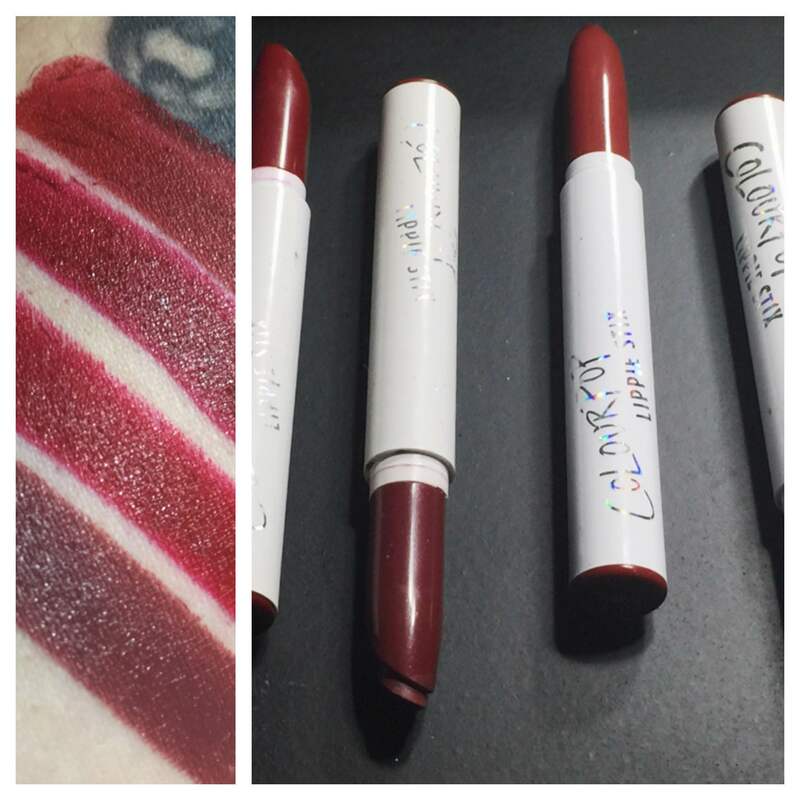 Chrislie Lip Crayon- This retails at $13. I love this shade! Because it’s a lip crayon it’s a bit on the sheerer side, but it’s still deep enough in color where even I will wear it. The formula feels very hydrating as well. Peony Cosmetics Highlighter– This was technically the makeup mix up product, and I love it! I hoard highlighters, and this is a gorgeous pinky shade that I can’t wait to pair with other highlighters in my collection. This retails at $22. Overall thoughts: I love this bag overall way more than I did last month. Last month had a couple of goodies, but was overall not as spectacular as June’s bag. I will definitely be trying out all of these products! Wanna win a May Lip Monthly bag? My giveaway ends soon on my youtube channel. Click here to watch the video and see how to enter! It ends July 9. Wanna read some more posts about lip monthly? As always, thank you for reading! I hope you all enjoyed this post. If you’re subscribed to lip monthly, tell me your thoughts in the comments! Today I have a review outside of my normal palette review! I wanted to share some highlighters that I bought from City Color Cosmetics during their Memorial Day sale. I had seen so many people rave about their highlighting trio a few months back when Ipsy sent them out to others, but I did not get one in my bag, unfortunately. I love highlighters! I already know I’m not the only one. They’re very trendy right now, and I am too pale to play around with too many contouring products. However, I’m always down to douse myself in highlight and blind everyone with my shiny glazed glam. I always love trying out affordable and cruelty free items. Highlighters seem to be something many are willing to drop $40+ on, but do we always have to? Surely, there’s some amazing high end quality highlighters out there that don’t make my bank account heave. So, that’s why I wanted to order some City Color Cosmetics highlighters during their Memorial Day sale. The eyeshadow is technically not a highlighter, but I saw a post where Dupe That compared it to Becca’s Pearl and I wanted to give it a try on my face. I ended up getting the highlighting #1 trio which retails for $8.99 on citycolorcosmetics.com. This comes with 3 different shades, which is essentially $3 per highlight at full retail price. Overall thoughts: I am really loving this trio! I have reached for it so often this past month. I can’t really pull off the gold shade with my skin tone, but the other 2 shades in the palette still make this worth it for me. If you have very fair skin like I do, you will probably also love the pinky and champagne shades in this trio. The pink one isn’t super pink so it still looks semi natural, and the champagne one isn’t too warm or a champagne for my cool toned skin. 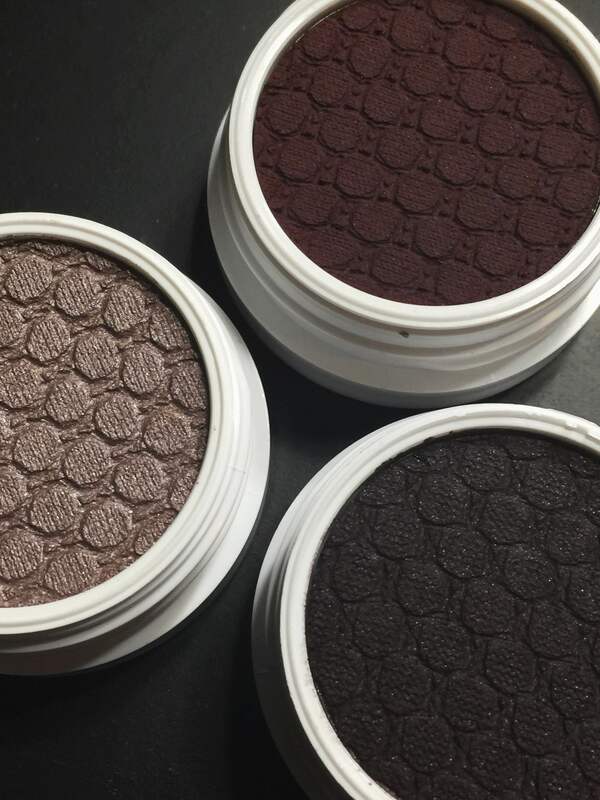 I find this trio to be buttery smooth and so easy to blend! So, you can pack that glow on and you will still be able to blend it into your skin properly. I use the Japonesque slanted contour and highlighting brush most of the time when using this trio. Next up is the city chic eyeshadow in Skinny Latte. This retails for $4.99 on their site. I have never truly used an eyeshadow as a highlight, but this one was a great one to start with! Out of both items I purchased, I have used this one the most. It’s such a perfect shade for fair skin. I don’t find it to pull too white, it has a slight champagne sheen to it which makes it perfect. It is a bit more of an “In your face” highlight, but that’s what I like, especially in the Summer. 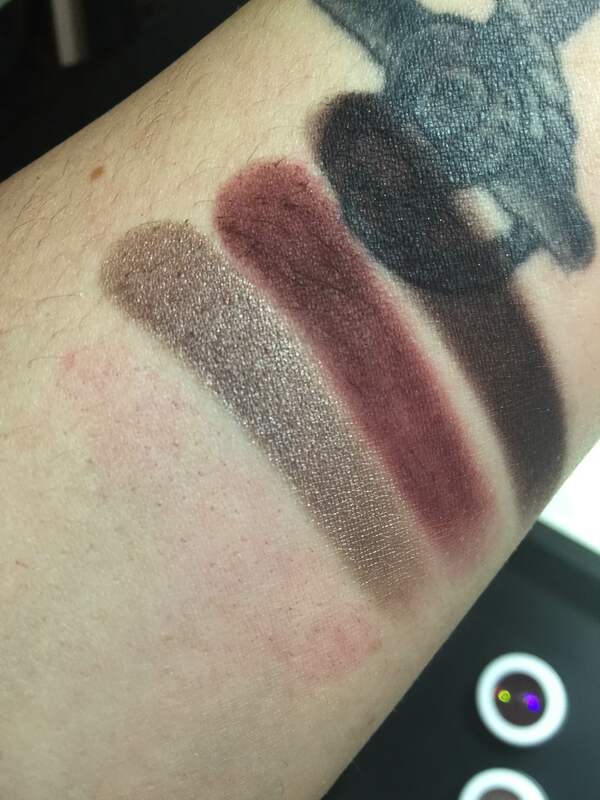 As you can probably tell from the swatches, these shades are so smooth! I am highly impressed with these highlighters, and I recommend them to anyone wanting to play around with some affordable products to make your skin glow! If you have ever tried these, what do you think of them? Will you be ordering any for yourself? Give me some of your cruelty free and affordable highlight suggestions in the comments! I hope you all enjoyed this quicker review. As always, thanks for reading, and I hope you’re all having wonderful days! Another month, another favorites video. This month I had quite a few new products to talk about. For anyone curious, I did not include the Shaaanxo palette because I still want to play around with it a few more times before calling it a “favorite.” The Kat Von D quad made it because it’s one of the cutest palettes I’ve ordered in awhile, and the green in it really did knock my socks off. I have a look using it on my Instagram if anyone’s interested in seeing what I mean. Random favorite of the month: anyone else catch my face in Shaaanxo’s April Favorites video at about 7:23? Someone on Facebook tagged me to let me know, and I was at my parents house and almost threw my phone across the room I was so excited. I’m dramatic, I know, but it really was an awesome moment for me considering Shannon is one of my favorite “big” beauty bloggers. I also give a small pregnancy update in this video at the beginning for anyone that likes to keep up with my life outside of makeup. I hope you all enjoy it! I know it’s lengthy, and I’m going to work on cutting my favorites back down quite a bit. I don’t even realize I’m gushing about a product until I’m editing. Also, don’t forget to follow me on Instagram if you want a chance to enter my 4k giveaway! Rules are on the post, and it ends Tuesday the 10th at 5 pm est. It’s not a huge giveaway, but I do want to show my appreciation for all the of the love and kindness I am continually shown by all of you. 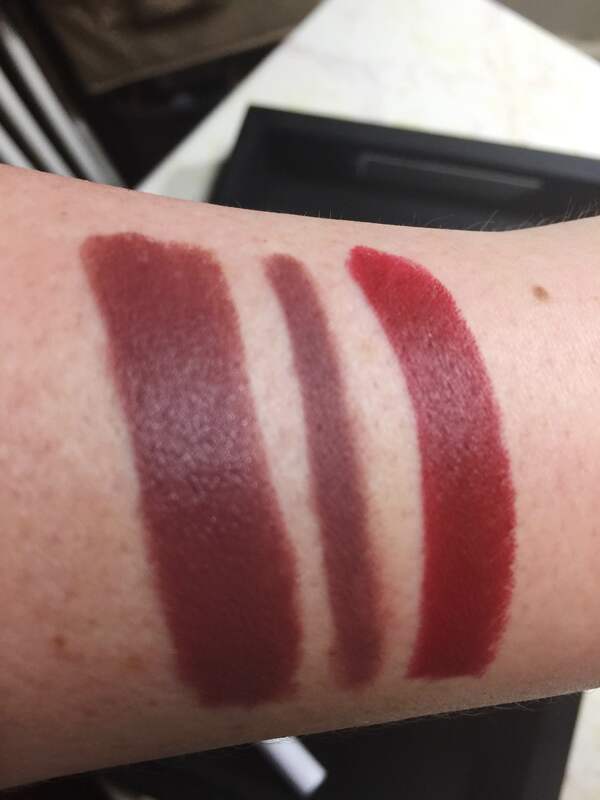 It’s Saturday, and I have some swatches for you all! Okay, so remember when I said I needed to stop shopping so much? Well, as soon as I said that everyone dropped previews of their Fall lines. I was lying to myself before I even knew I was lying to myself. However, I was better and narrowed down what I really really wanted from Colourpop’s Throwback line to 6 things. These were the 6 things that I knew I would use in tutorials or on an everyday basis. 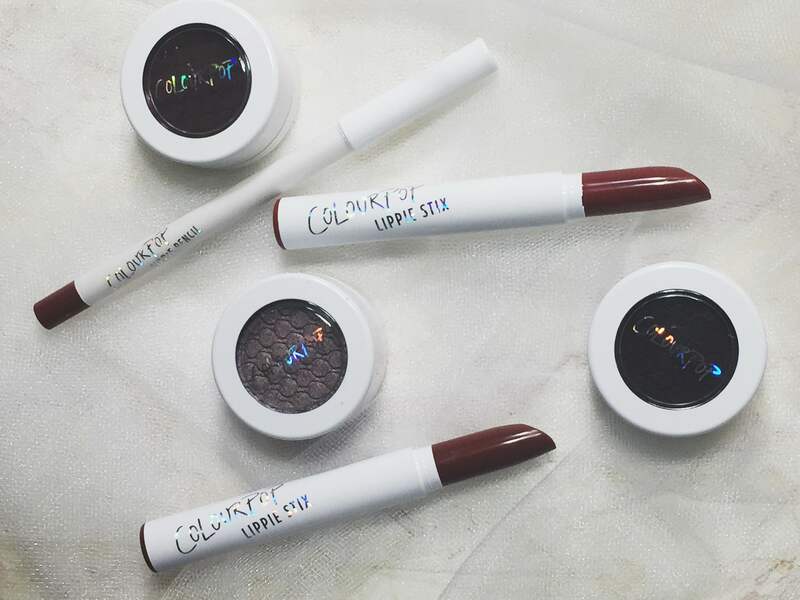 If you’re unfamiliar with Colourpop, they are an indie company that is quickly growing in popularity on Instagram and Youtube. Their products are very affordable. Their shadows are $5 each and their lippie pencils and sticks are also $5 each. Now, their lippie sticks only come with 1 gram of product (1/3 of what is in MAC lipsticks for reference) but that’s perfect for me, because I rarely ever use up lipsticks. Anyway, I picked up 6 items, 3 shadows and 3 lip products, from the Colourpop Throws it Back collection. This collection is inspired by the 90’s, from the names to the colors. Colourpop tends to nail trendy colors, and they did not disappoint with this line. It’s filled with cool tones, browns, reds, and dark plum shades. You can get your Craft on with these shades. I picked up 3 shadows that I thought would be great together or separately. I settled on Mixed Tape, Central Perk, and Straight Trippin. Anyone else a huge Friends fan? When I saw the name of one was Central Perk, I knew I needed it. It could have been dead slug slime green and I probably would’ve still gotten it. 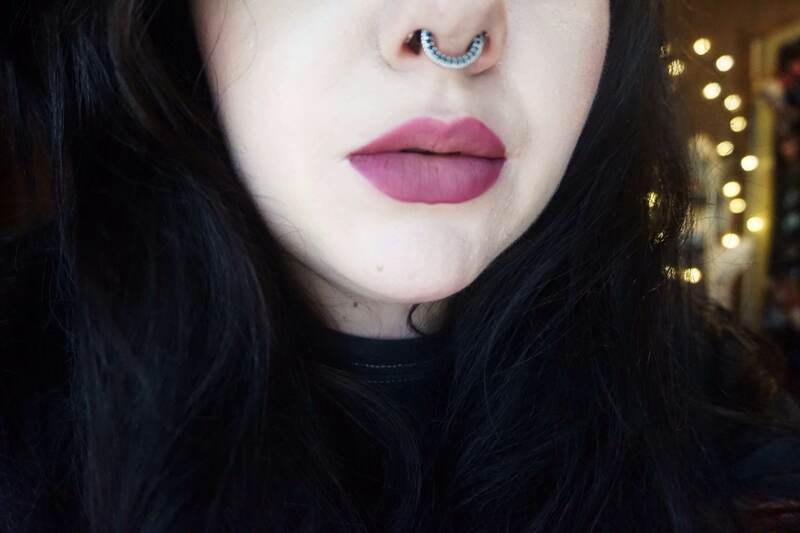 I was in luck, because this is probably one of the most beauty burgundy shades I have swatched in a bit. 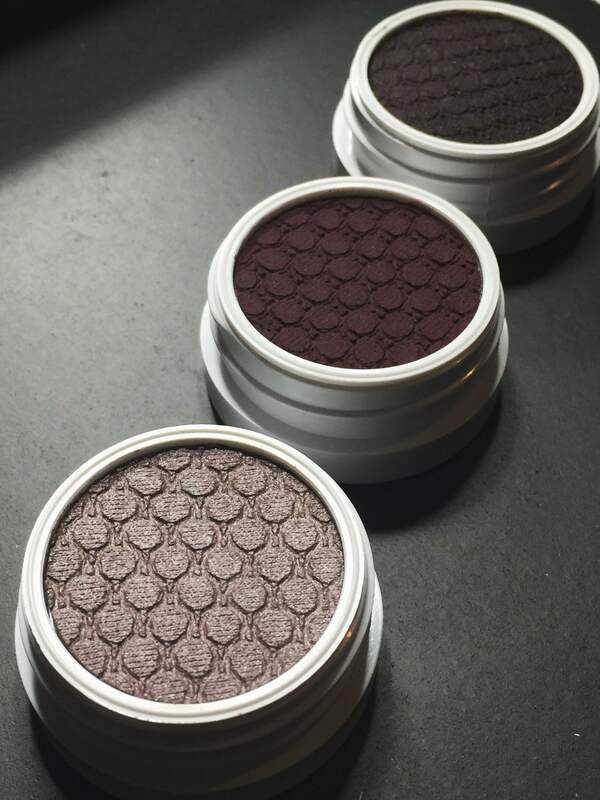 I haven’t gasped at a burgundy eyeshadow since I swatched Melt’s ‘Enigma” awhile back. It’s so lush. I really want to create a messy smokey eye with these shades. I don’t think I’ve done a messy smokey eye yet on my blog or Youtube channel where I didn’t have some elaborate cat wing or something. These are all gorgeous though, and I highly recommend getting Mixed Tape and Central Perk. 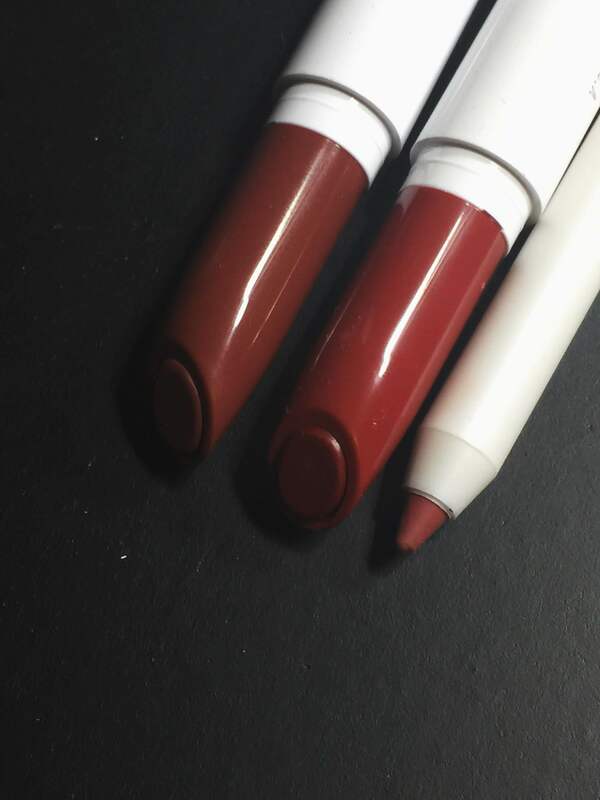 I also picked up 2 lippie sticks and a lippie pencil. I got the lippie pencil and stick in “Grunge” and the lippie stick in “Poison.” Okay, Poison is awesome and I’m hoping this shade is named after the band and not the poison apple in Snow White. Well, either are pretty badass in my book. I digress. It’s a red, so yeah I had to have it. Grunge is a mid tone cooler brown shade. 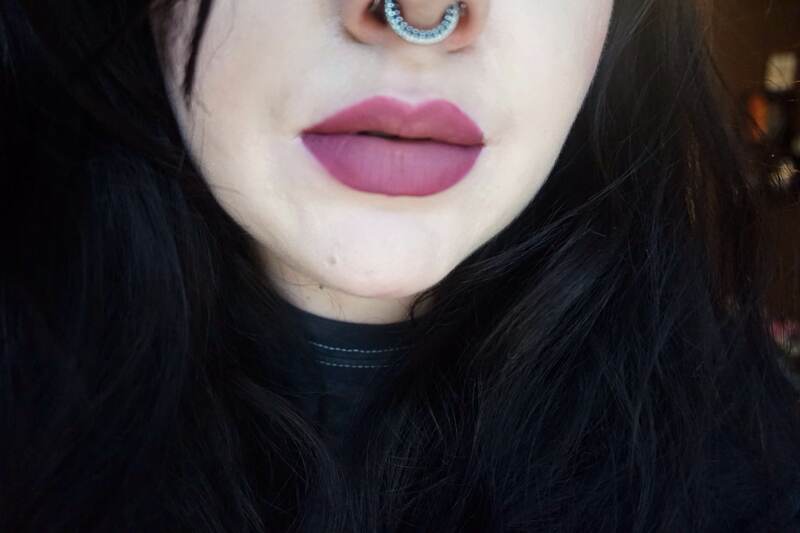 I really feel like Colourpop nailed this shade. They gave people a more affordable option to relive that 90’s lip. That’s what I’ve always loved about their brand. Poison reminds me of a mix of blood and lady. That was everything that I got from this collection…so far. Ha! Did you all pick anything up from this collection? Let me know! I hope you all enjoyed this post! As always, thanks for reading and I hope you’re all having wonderful days!